Thank you to everyone for being flexible with pick up and drop off last week. I was so excited to see so many of our students at the parish fiesta this past weekend! It was a nice preview of our carnival in May! REMEMBER there will be 12:30 dismissal on Halloween (Wed), Mass on Thursday for All Saint's Day & NO mass on Friday. Please keep Ms. Rygiel in your prayers. She had surgery on Friday and will be resting and healing at home this week. 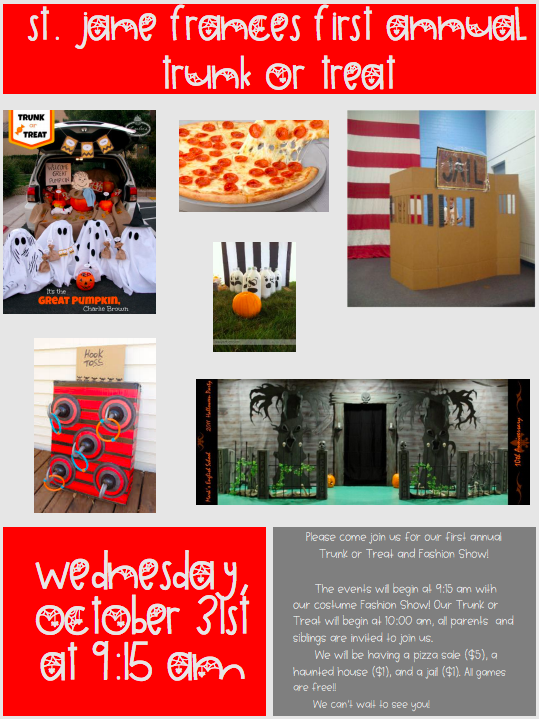 *On Oct. 31st Students may wear their costume or PE uniform. *NO violent objects: swords, guns, knives, hooks, etc. *No blood, guts or gore. *Make sure your child can safely see, walk & sit in their costume. *No midriffs or extremely short outfits. *Makeup and other accessories are permitted. If you have questions about the appropriateness of a costume, please ask a teacher BEFORE wearing it to school. 12:30 DISMISSAL ON HALLOWEEN!! YESSSSS! Fri. 11/2- NO all school mass. Do you know anyone who would like to coach? 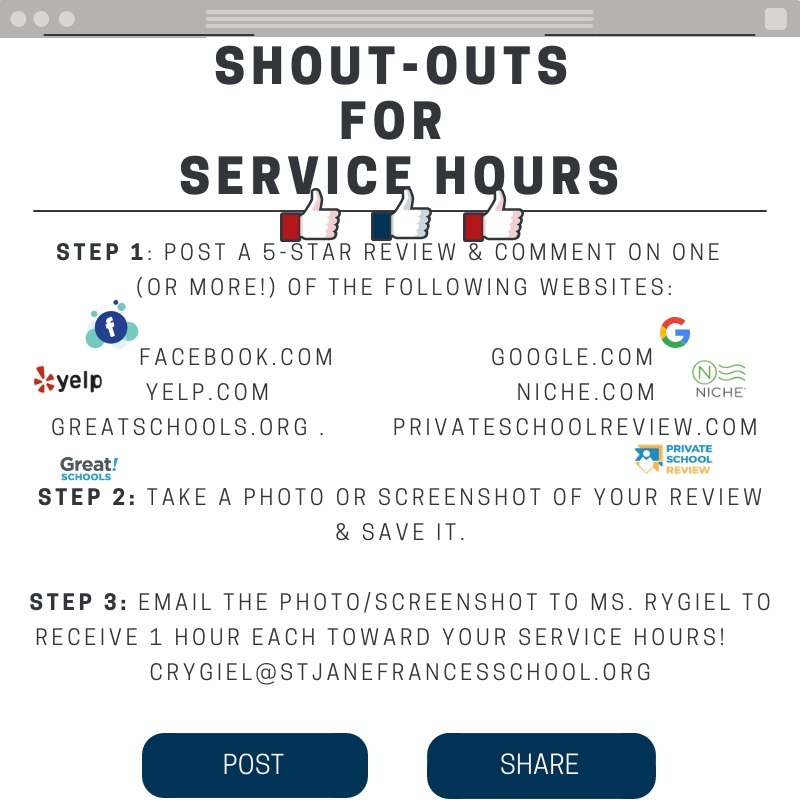 Please email Ms. Dominguez (sdominguez@stjanefrancesschool.org) so we can offer winter sports! Thank you to everyone who made it out to the PTO meeting last week. We are on track for such a great year! If you were unable to make it, please read the notes from our meeting. 1. Parish Festival tickets are on sale at the school office. You can buy a $20 sheet for $17 and wristbands for $25. Checks only please made out to St. Jane Frances Church. 2. The church festival will be on Oct 26-28th. If you are interested in volunteering, there is a sign-up in the school office. Hours volunteered for the church fiesta will count toward your 25 school hours (NOT the 6 required hours for our carnival). Please be sure to sign in/out at the school booth DURING the fiesta as well. I cannot tell you how excited I am for Thursday! Blessing of the Animals will begin at 8:30 am. PLEASE remember to have all animals on a leash or in a cage. This year's blessing will be in memory of Mrs. Benson. 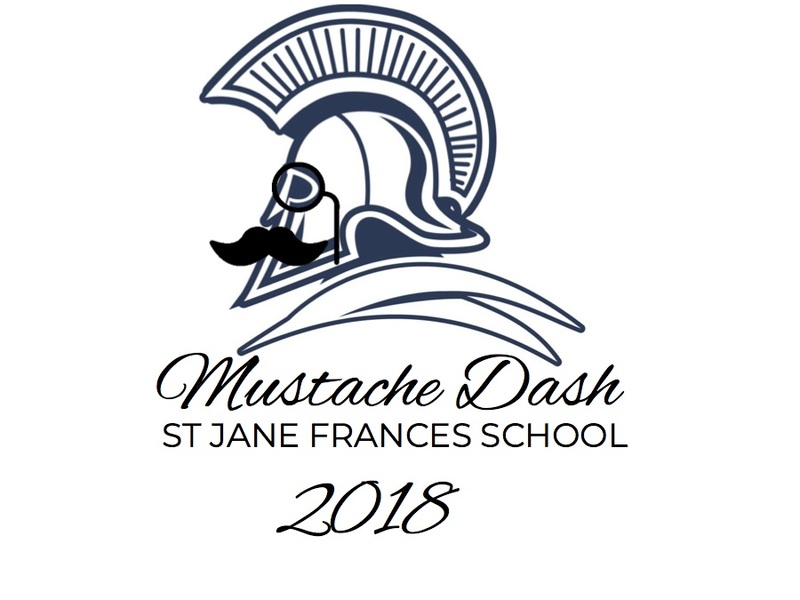 The Mustache Dash will begin after the animals are put away. If you are interested in volunteering please see your room parent or teacher. We will have light snacks and water for our athletes. If you would like to donate we are in need of mini water bottles, granola bars, and grapes (please bring to the office by Wednesday). Have you signed up for Ukulele classes yet? They will begin this week & will have a special spot in the Christmas program! We will be raising money for our 3rd & 4th grade air conditioning unit. PLEASE NOTE: please pack a lunch and extra water for the Jog-a-Thon!